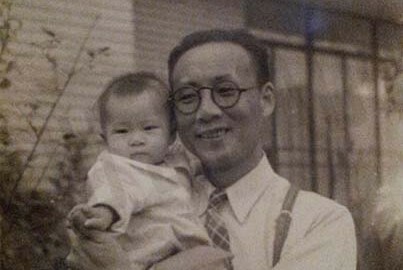 With all the racial violence that has erupted in the country these days, I find myself thinking more and more about growing up Chinese in America. I learned very early on not to worry my parents about the racial abuse I faced on a daily basis. Somehow, I knew they had enough to deal with just surviving in America. Their lives were so completely different from the luxury and high status they were afforded in China. My father and my mother were always trying to fit in, not make waves. They were so afraid we’d get sent back to China because so many people identified Chinese as Communist during the McCarthy Era. I don’t think my father ever thought he’d have to deal with racism. My parents always told me to say that I wasn’t Chinese, I was American. I grew up feeling ashamed of being Chinese, yet it was not something I could hide. No matter how American I became in speech, in culture, in mannerisms, my face always betrayed me. As a child, I thought they were ashamed of me. And, when they didn’t defend themselves against racial attacks, it further confirmed the shame I already felt. As the smallest and only Chinese girl in my neighborhood I dealt a lot with racial bullying. I remember being teased for being Chinese all the time, on the playground, to and from school, when my mother accompanied me and, more so when I traveled alone. On the playground the teasing would evolve into bullying. I remember being forced to stand in the middle of a circle of white children jabbing and pointing their fingers at me. They’d push me back and forth, mimicking “ching-chong” noises, making their eyes slanty and pushing their noses in while the teachers watched and did nothing. Thinking back on that incident I am once again reminded of how much my father loved me. As much as he wanted to fit in and not be noticed, he was willing to risk all that to protect me. Of course, I didn’t realize any of that when I was a child. I only hope that wherever he is, he knows I know how much he loved me. And that knowledge has changed the way I feel about life and about myself.